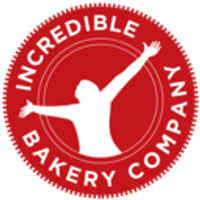 The Incredible Bakery Company is a craft bakery located in the pretty village of Warkton, in the rural area of Northamptonshire. We produce high quality bakery and pastry products that are all free from gluten, dairy, eggs and soya. We use innovative ingredients and at all times strive to create products that have the same good taste, appearance and nutritional qualities as mainstream products. Incredible Bakery does not process any of the 14 common food allergens as described by EC regulations. You can buy our products in healthfood stores right across the UK. Go to the stockists page to find your nearest.